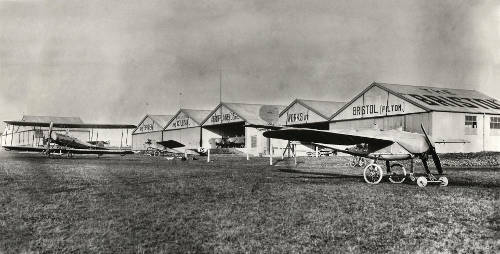 The British & Colonial Aeroplane Company was founded in Filton by Sir George White in 1910. By the outbreak of First World War, it had produced many trainer aircraft for its two Flying Schools. These trained over 50% of the pilots available for service in August 1914. Another 25% were trained on Bristol machines. The company produced 1,296 Be2, 374 Bristol Scout and over 5,000 Bristol Fighters during 1914-19. The Royal Flying corps opened the Filton Aircraft Acceptance Park in 1915. It took aircraft from local manufacturers and brought them – and their crews – up to war service standards before they were sent into battle, at home or on the Western Front. 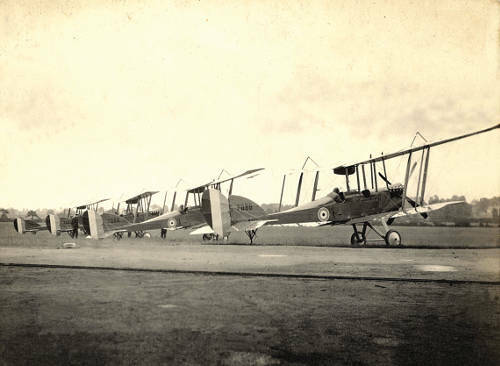 A variety of training aeroplanes at the British and colonial aeroplane Flying School at Larkhill just before First World War. 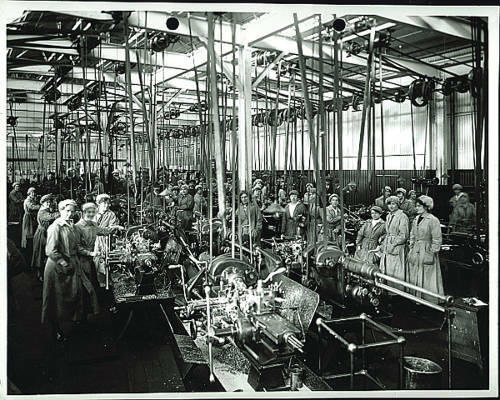 Ladies working at the Filton Machine Shop in 1917 – there are only four men in this picture. 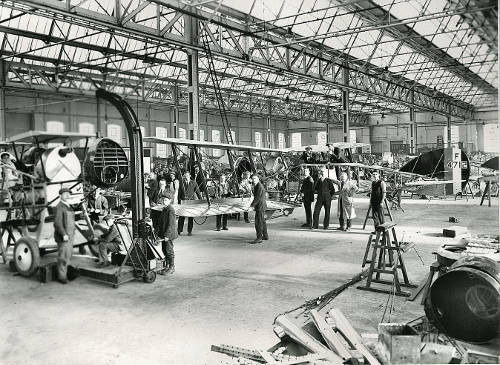 Bristol F2b Fighters aeroplanes being assembled at Filton in 1918. This was said to be the best two seat aeroplane of First World War. Four Filton built Be2d aeroplanes lined up for flight at the Royal Flying Corps Acceptance Park in late summer 1916. 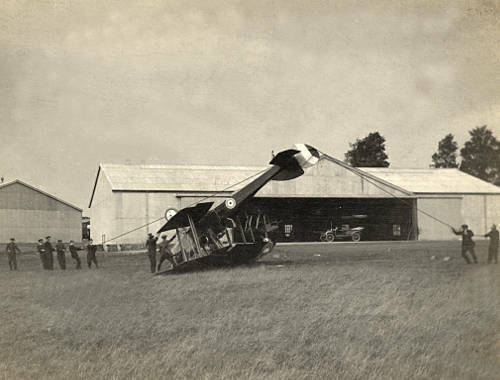 A Be2c aeroplane has nosed-over on landing and First World War technology is being used to recover it. RFC acceptance Park, late summer 1916.